Busy beavers everywhere now have another way to get work done while they travel. Skyroam has just announced its newest product, the Solis. It's a diminutive orange puck that packs the one-two punch of both LTE-powered Wi-Fi and a 6,000mAh battery. Service is even provided without a contract via fixed-price day passes. You can pick one up for yourself as of today for just $149.99 at Fry's Electronics. Globe-trotters can get unlimited connectivity in over 100 countries. No juggling different SIMs or devices for each country and no exorbitant by-the-megabyte data prices or roaming fees. Day-passes for service, which seem to be the only options so far as plans go, run $9 a day. While that might be a bit steep for day-to-day use, if you travel for business it's a lot cheaper than some hotels charge for Wi-Fi. Specs include USB-C charging, a 16 hours of battery life via a 6,000mAh battery that can also charge your phone, and support for up to 5 connected devices. And, of course, a bright and snazzy orange puck-shaped package to house it all. I'm the sort who enjoys zipping down to the park during the day to do some work in the sun. Who wants to stay at home all day when you can relax out in the sun and call it work? Usually, I just grab data off my phone, but I've had it run dry a few times and been forced to head home. To that end, look forward to our review on the Solis, and plenty of articles written in the sun. SAN FRANCISCO – Skyroam, the global WiFi provider making it easy for travelers to stay connected around the world, is announcing the launch of Skyroam Solis, a dual 4G LTE global WiFi hotspot and power bank. Skyroam Solis is its newest and most powerful global connectivity gadget with super fast LTE speeds in over 100 countries, long-lasting battery, and mobile-charging to keep travelers connected and powered up on-the-go all day long. It’s no secret, digital connectivity is a must-have for the modern traveler – with a recent Skyroam survey revealing three out of four polled believe staying connected and powered up for an entire day is crucial. The Skyroam Solis was designed to satisfy these two most significant traveler needs with one mobile solution. With on demand WiFi connectivity and power-charging all-in-one, Skyroam Solis gives globetrotters the freedom to use their most cherished devices around the world all day long without missing a beat, allowing them to stay productive while traveling and keep in touch with loved ones no matter where they are. 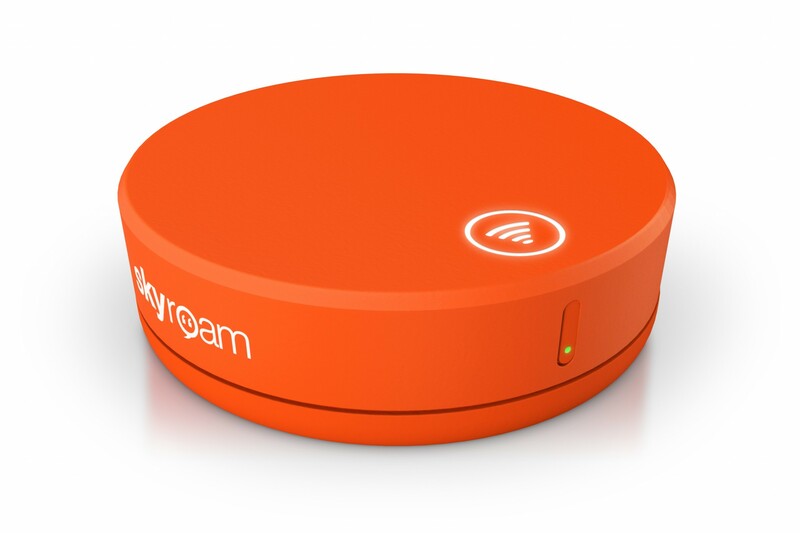 Skyroam seamlessly connects users with mobile WiFi on the go through its proprietary global WiFi network powered by patented virtual SIM (vSIM) technology through sales and rentals. With instant access to secure, unlimited data in 100+ countries, shareable on up to five devices simultaneously, Skyroam offers the convenience of going from one country to another without configuring local SIMs, updating plans, or incurring roaming charges and overage fees. Starting today, Skyroam Solis is available for sale on skyroam.com/solis for $149.99 with shipping to over 120 countries and by visiting great retail store launch partners, Fry’s Electronics, BluWire, and Cavaraty. Skyroam’s smart device includes one free 24-hour global WiFi daypass for a limited time, along with a USB-C charging cable and USB-C to standard USB adapter. Customers can easily purchase additional service online as needed and enjoy the flexibility of a contract-free, pay-as-you-go service. Global WiFi daypasses with unlimited data are available for the low price of $9 each. Skyroam was founded in Silicon Valley by technology innovators who identified a common pain-point among fellow travelers: getting fast, secure, and reliable mobile internet connection on the road. To solve this problem , Skyroam developed and patented its virtual SIM (vSIM) technology, which delivers on-demand local wireless data through local carrier partnerships around the world. Skyroam’s global hotspot, embedded with a vSIM, enables unlimited mobile WiFi in 100+ countries. Skyroam’s vSIM technology also provides global mobile data access to IoT, M2M, and wearables applications. Visit www.skyroam.com for more information and stay in touch at @MySkyroam on Instagram, Facebook, and Twitter. Skyroam is backed by $25 million in funding, lead by Lenovo Group, and is headquartered in the US, with additional offices in China and Germany. The global hotspot is available across the US, Europe, and around the world at retail and airport shops including Lufthansa Worldshop, Miles & More In-Flight, BluWire, Brookstone, Flight001, InMotion Entertainment, Expansys global online retailer, and vending machines at select airports, as well as partnerships with Starwood Preferred Guest Hotels and Philippine Airlines.